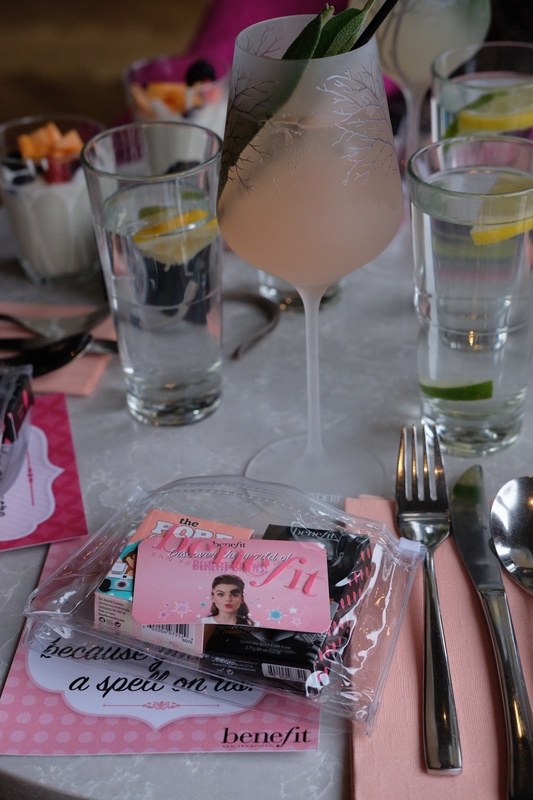 Hi everyone, you might have seen that me and Rachael at Curlers n Coffee attended the NI Blogger Brunch at Babel in Belfast. And it was fab! Cocktails and makeup at 10am? What’s not to love? Bloggers of all niches got together to discuss what they were up to and gave any advice to anyone who needed it. Benefits Brow Artist Katie was also there to give tips on the perfect flat lay and how to achieve the perfect brow. I learned some useful flat lay tricks and as I am trying to do more of on my Instagram feed so this was really helpful. Anyway, I wanted to share with you what I wore, I was in love with this outfit – and it was so casual for me. My jacket is a few years old from Next but I think a statement fur like this will never go out of style. My leather leggings are also from Next, I actually spied them on The Frugality and had to get them! T-Shirt is from New Look and trainers are Converse (from Bejeweled @ Soul). And last, but certainly not least, my accessories are all from Bejeweled @ Soul. Bangles are Mya Bay, Necklace is Rebecca My World, Ring is Qudo and Sunglasses are Pilgrim. What did you guys think about this look?